Fitness stations are a simple way to add movement to the day. 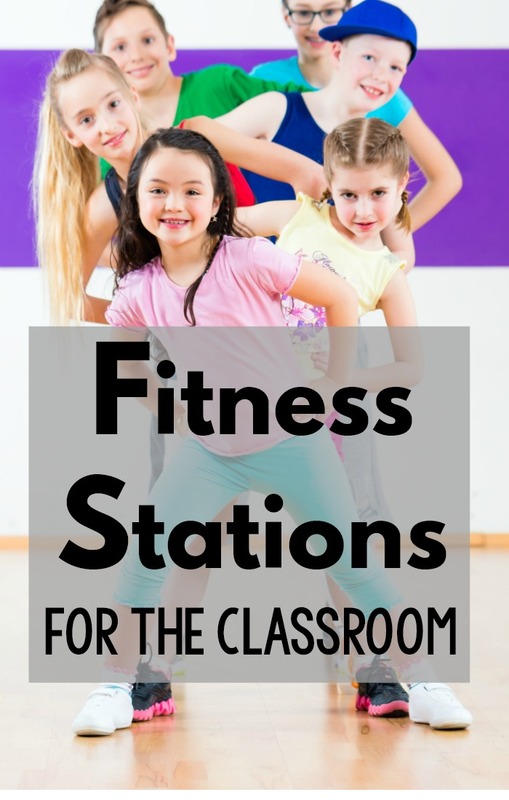 Fitness stations are perfect for physical education but can also be incorporated into math centers, literacy center, or workshop set ups. This can add the much needed movement component to the day. The research is out there that kids need to move! Fitness stations help make this possible. When you introduce a particular fitness activity and station set up you will want to review how to do the activity associated with the station(s). As the kids get used to doing the activities they know what is expected of them and you will be able to simply place the station out and let the gets get moving. The set-up of your fitness station really depends on where you are going to use the fitness station. At Pink Oatmeal we have 14 different fitness stations that you can use (find them in the Shop or TpT). There are full sheet printables and 2 different sized labels so that you can set them up with ease. 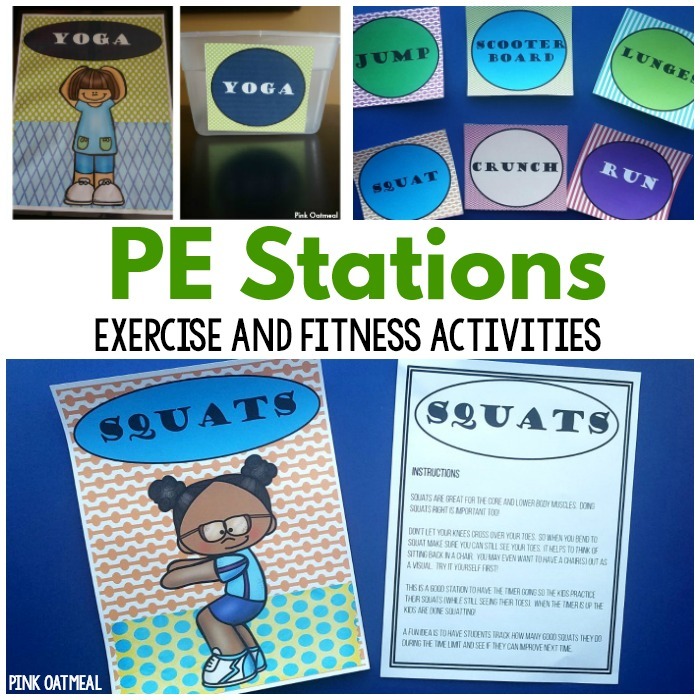 If you are setting up several different fitness stations for therapy or physical education you may want to start out with 4-6 stations and place students in groups to complete the stations. Next time try a few different stations. Using a timer for each station keeps the kids moving through them and on task. Anywhere from 1-3 minutes per station is appropriate. It gives the students enough time to work on the activity, but not too much time to get bored and stop the activity. They are the perfect way to incorporate movement and brain breaks into the day. They are one solution to making sure that student’s are getting movement in their day. We know that research shows us that kids that move and are physically fit perform better in the classroom. It is part of a natural flow in the classroom and it’s motivating for the students. They are easy to incorporate. Add one as part of your normal rotation and switch it out to a different movement station the next week. 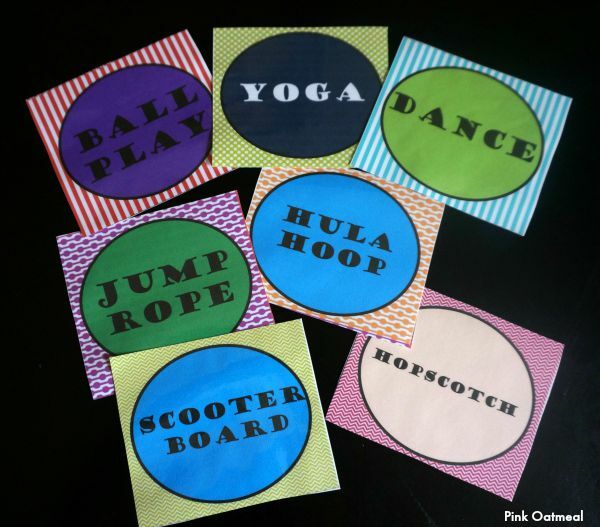 Use several for a physical education set up. It only takes a minute! We have fitness stations ready made for you at Pink Oatmeal! There are 14 different activities along with 2 different sized labels and a full sheet printable associated with each activity. There is also a teacher instruction sheet associated with each activity so you have several different ideas on how to use each station. 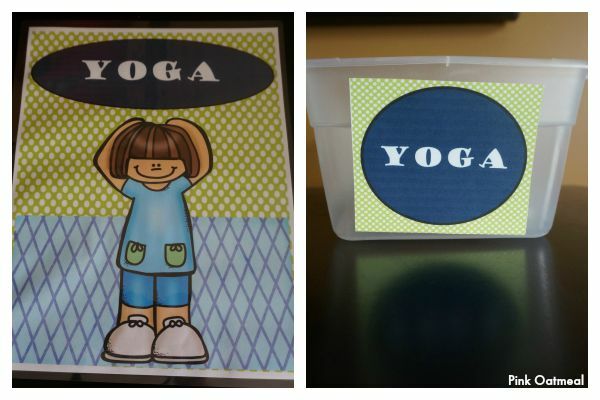 My store at Pink Oatmeal has ideas to get the kids moving at home, in the classroom, and in therapy! If you prefer Teachers Pay Teachers you can find me there too with even more ideas to get the kids moving!